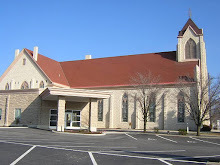 A letter from our tenth pastor Rev. 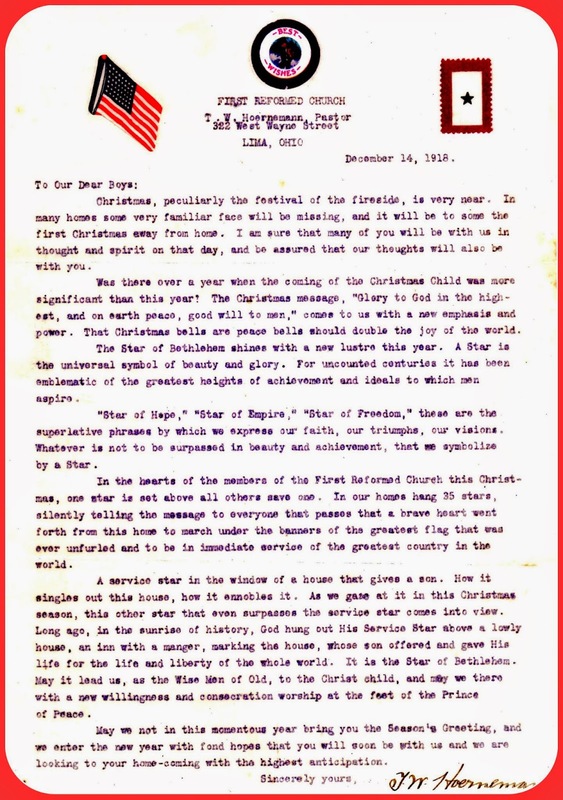 Tillman W. Hoernemann, written at the end of World War I.
Christmas, [particularly] the festival of the fireside, is very near. In many homes some very familiar face will be missing, and it will be to some the first Christmas away from home. I am sure many of you will be with us in thought and spirit on that day and be assured that our thoughts will also be with you. Was there [ever] a year when the coming of the Christmas Child was more significant than this year! The Christmas message: "Glory to God in the highest, and on earth peace, good will to men," comes to mind with a new emphasis and power. That Christmas bells are peace bells should double the joy of the world. The Star of Bethlehem shines with a new lustre this year. A Star is the universal symbol of beauty and glory. For uncounted centuries it has been emblematic of the greatest heights of achievement and ideals to which men aspire. "Star of Hope," "Star of Empire," "Star of Freedom," these are the superlative phrases by which we express our faith, our triumphs, our visions. Whatever is not to be surpassed in beauty and achievement, that we symbolize by a Star. In the hearts of the members of the First Reformed Church this Christmas, one star is set above all others save one. In our homes hang 35 stars, silently telling the message to everyone that passes that a brave heart went forth from this home to march under the banners of the greatest flag that was ever unfurled and to be in the immediate service of the greatest country in the world. A service star in the window of a house that gives a son. How it singles out this house, how it ennobles it. As we gaze at it in this Christmas season, this star that even surpasses the service star comes into view. Long ago, in the sunrise of history, God hung out his Service Star above a lowly house, an inn with a manger, marking the house, whose son offered and gave his life and liberty for the whole world. It is the Star of Bethlehem. May it lead us as the Wise Men of old, to the Christ child, and may we there with a new willingness and consecration worship at the feet of the Prince of Peace. May we [now] in this momentous year bring you the Season's Greeting, and we enter the new year with fond hopes that you will soon be with us and we are looking to your home-coming with the highest anticipation.